Careful, stoners: Even with legalization on the books in seven states, not everything is coming up smelling like dank OG Kush in weed land. That’s because the health risks associated with heavy cannabis use are back in the news. Not the news that marijuana causes brain damage (it doesn’t). Or that it’s as bad as drunk driving (it isn’t). No, this particular scare revolves around uncontrollable vomiting and compulsive bath-taking. 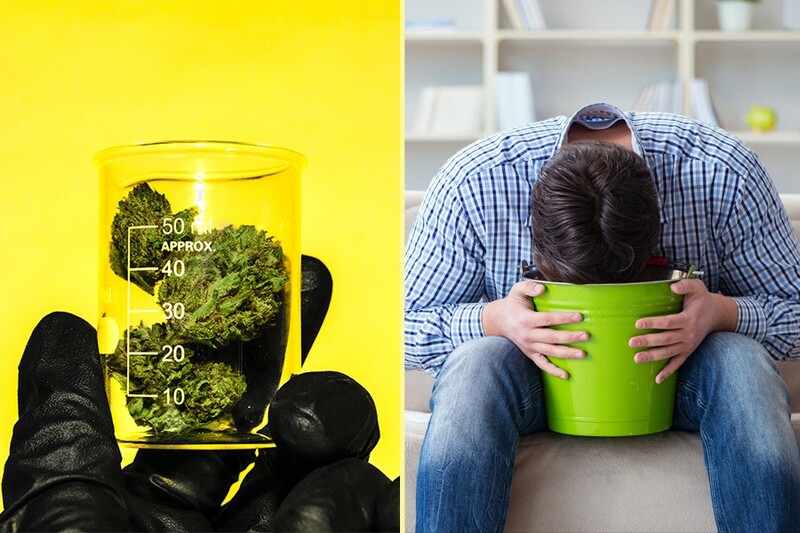 Cannabinoid hyperemesis syndrome is a rare illness brought on by chronic marijuana use that causes cyclic episodes of nausea and vomiting, relief from which can only be found in, you guessed it, a hot bath. The two are so closely linked that frequent bathing has been used as a clue by doctors to diagnose the illness. You can’t make this stuff up, folks. Doctors aren’t entirely sure why cannabis use causes nausea and vomiting in some people, although it’s been suggested that it has to do with how cannabinoids mess with your brain’s hypothalamus, which regulates the body’s temperature and digestive system. What is clear, however, is that for people suffering from the illness, you should head for the nearest bath or shower when the puking starts. That’s because bathing seems to provide instant relief from the symptoms of cannabinoid hyperemesis, though again, the why isn’t entirely certain. Researchers have surmised that it might have to do with how the heat of the water distracts the brain long enough for the symptoms to dissipate. Who really knows?! It works, whatever, get over it. While there is no cure for the illness itself, quitting marijuana has shown promise as a means for preventing the vomiting bouts from happening. Which, y’know, makes a lot of sense. Hugging babies doesn’t just make the wee ones happy, it can lead to long term health benefits. Sit-down restaurants are wayyyyyy dirtier than fast food establishments. If you’re balding or turning gray prematurely, go get your heart checked out. The UK’s got scarlet fever, er, fever. In today’s “no, duh” news, the odds are, your kids are gonna be really fat.